Dr. Jeffrey Kwan is board-certified in Gastroenterology. Prior to joining Menlo Medical Clinic, Dr. Kwan practiced with San Jose Medical Group for six years, serving on their Board of Directors, and then Palo Alto Medical Foundation for the past four years. He strives to provide outstanding care in all areas of adult gastroenterology and hepatology with compassion and kindness. 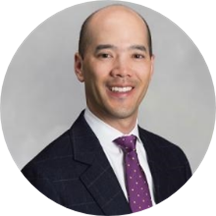 Outside of medicine, Dr. Kwan enjoys running, skiing, singing, reading the New York Times, architecture and design, and spending time with his wife and three sons. Amazing and kind doctor . Carefully listens to all your questions and amwers them .